The best drones in 2018 boast high-quality cameras, fast flight speeds and long battery life. However, the needs of the specific buyer dictate which drone is considered the best because there are endless options out there. While the experienced buyer may be eager to invest in a drone with a more impressive flight time, a beginner will be just as excited to invest in a more affordable drone with user friendly features that delivers an overview of the experience. Some buyers will spend a pretty penny for a gorgeous unit while others are more focused on versatility and overall quality. There really is no right or wrong as we are all drone enthusiasts here. Luckily for us, there are as many drones out there as there are people eager to buy them, covering all possible features. Coming from a diverse set of backgrounds, buyers only need guidance in making the best decision for their desires. With the specific needs of a diverse range of buyers in mind, here are 5 of the best drones to buy in 2018. There is a drone for every budget! Affordably priced under $100, the Parrot Mambo brings the mini drone experience to those seeking to spend less, whether they are a beginner learning the ropes or seeking to get their feet wet with drones without a huge upfront investment. While the 9-minute flight time ranks below most of the other drones on this list, this is to be expected as part of the mini drone experience. However, the charge time is relatively quick at 30 minutes. Unlike many other drones at this price point, the Parrot Mambo brings with it a variety of features including indoor and outdoor flying, an interchangeable grabber and even a camera. For the budget-conscious drone shopper, the Parrot Mambo is worth every dollar. When our need for versatility surpasses our budget limitations, the marketplace offers a plethora of drones that satisfy our thirst for features. No drone is more celebrated in 2018 than the DJI Mavic Pro. Boasting an industry-leading flight time of around 27 minutes, this drone also flies at a speed of up to 40 mph. This model is also so compact that it can be inconspicuously carried along in a bag. A live video feed of the drone’s viewpoint can be enjoyed on a smartphone, bringing a dynamic way to enjoy the 4K video recording offered by this drone. Impressively, the small size does not take away from the flight stability or the quality of video available. If the user does decide to take this highly portable drone along, even the most compact of bags will do just fine. For those concerned about damaging the drone, DJI supplies a protective plastic cage that should remove all worries. Drones suitable for beginners can be found at the intersection of user-friendliness and budget-consciousness. The Syma X5C marries the unique needs of the curious beginner with a price of around $50, using simple controls. A 90-minute charge will yield around 7 minutes of flight time, which is not uncommon for this price point. Syma has made repairs quite accessible with a detailed guide available, walking the user through repairs. Additionally, every part is available for purchase if the need arises. Due to its durability, this drone can take a beating, so hopefully, the need will not present itself. Image quality does leave something to be desired with the included 720p HD camera. The supplied 4GB microSD card adds even more value to this already incredible package. Shoppers with an eye for design will not be able to look past the Xiro Xplorer V. With a host of great features, this sleek drone is not just beautiful, but also seriously powerful. With a flight time of around 25 minutes and a relatively portable size, this drone bridges convenience and power. Also boasting an automated take-off and landing, return home functionality and a comfortable remote control, the Xiro Xplorer V is as easy to fly as it is on the eyes. Flight speeds top out at about 16.6 mph with a range of about 1,725 feet. Those who consider flight time above all else will not be disappointed by the feature-rich DJI Inspire 2. 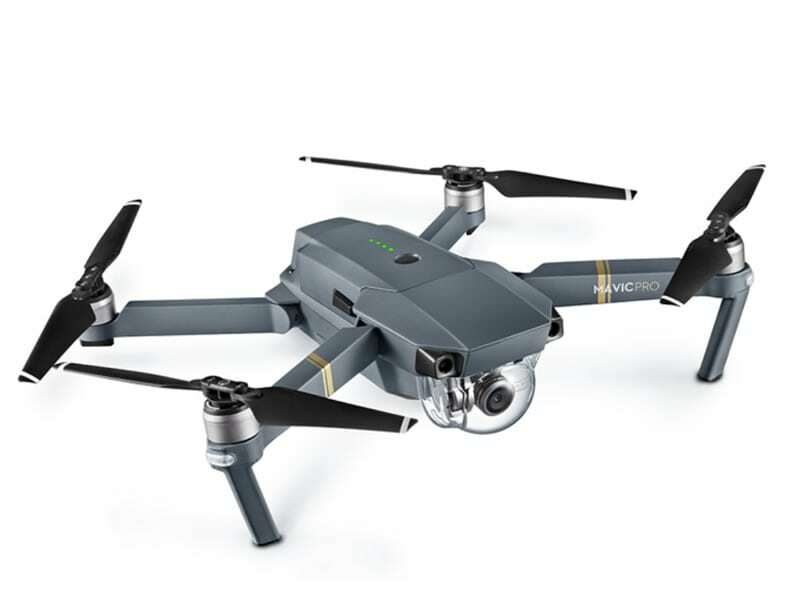 The drone brings with it the impressive dual battery setup that delivers highly-coveted flight time that surpasses most of what is available right now at around 27 minutes. While the price is around $3000 for the base unit, the DJI Inspire 2 is built to last with its durable carbon fiber material construction. This drone will withstand a lot of beating everywhere except its camera and the light plastic quick-release propellers, which are simple to replace if you ever need to. It is hard to find a drone that pleases everyone, but the DJI Spark comes incredibly close. This drone pleases even the most budget conscious at just under $400. This drone is also extremely portable and lightweight taking away the barrier of needing more equipment just to take it out. For those seeking beauty in their purchases, the DJI Spark can be bought in 5 different colors. This drone is easy to fly and has more functionality when connected to Wi-Fi and the smartphone app. While it did not make the list, this drone is a strong second in too many categories to leave out. The best drones in 2018 are sleek, affordable, easy to use and smooth to fly. They have great cameras and price points that make sense to buyers’ needs. The DJI Inspire may seem expensive to the uninitiated beginner while the Syma X5C may seem too simplistic for the more experienced buyer. Each of these drones brings an incredible package to the table for the intended user. Now, armed with the knowledge that you need, it is up to you to decide which drone is the best for you in 2018.